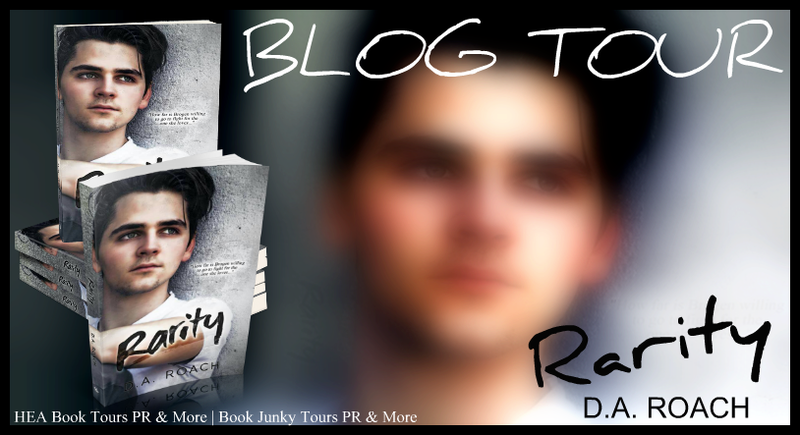 Continuing my stop on the blog tour for Rarity, I got the chance to interview the author, D.A. Roach. If you missed my review of the book, you can find it here. To begin - tell me about yourself. I grew up in a south suburb of Chicago and my parents were immigrants from Lithuania. Fresh out of college I spent a short time as a retail pharmacist and later as a college professor before settling down and starting my family. 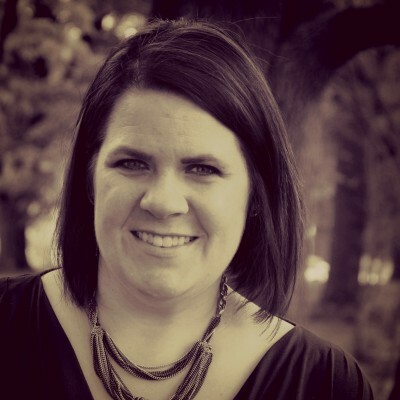 In what little downtime I had while caring for my kids, I became an avid reader and eventually tried my hand at writing...and I fell in love with it. How did you first become interesting in writing? Honestly, I was in the dentist chair and the hygienist asked where we were headed for vacation. I told her we were going to Tennessee to visit a woman that we befriended over thirty years ago. How we met the woman was an amazing tale and when I finished telling it the hygienist said, “My god, you have to write that story down.” So I did. I self-published my first book Trusting Strangers. I enjoyed learning about self-publishing and seeing the sales and reviews it received. It made me want to continue pursuing writing. My books so far have been inspired by stories and characters based on people I know. But I write down ideas that evoke emotion in me. I might listen to the news and hear about a rescue that happened in a nearby town, and I think about the emotions the victim or rescuer felt and try to create characters based on this real life drama. I may not build a story around them but they may appear to help a story along. What draws you to writing romance? Romance stories are full of emotions and drama. There can be jealousy, sorrow, happiness, and passion. Love and passion are powerful emotions. I love exploring those emotions with my characters. I also enjoy reading romance and getting lost in the ebb and flow of a book relationship. Sounds like the perfect afternoon to me. 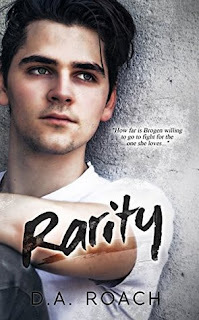 Rarity is more than your typical teen drama/romance book. It’s told through the eyes of Brogen, a junior at Stanton High. Brogen is an empath who is very sensitive to other people’s energies. She closes herself off and only confides in her closest friend, Meg. As the school year begins, Stanton High welcomes two new juniors. Jay is the handsome new guy who is so charismatic and friendly that he befriends the whole student body instantly. How can anyone be that nice? Brogen can’t get a read on Jay’s energy to see if he’s genuine or fake and so she is intrigued by him. She studies his actions and interactions, while consequently finding herself attracted to him. The other new student is Becca, the gorgeous blonde who climbs the social ladder rapidly. She does not care who she steps on to get to the top, and she wants Jay by her side. To achieve this, she plots to ruin Brogen and her reputation. But as fate begins to set the course of their relationships, one of the main characters is diagnosed with a rare disorder. The news is life altering and it changes everything. Rarity is a glimpse into the world of people diagnosed with a rare disorder. It transports you into their difficult days, moments of sorrow, and their joys of triumph. 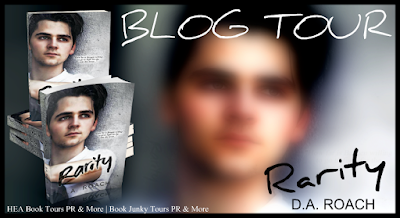 What inspired you to write Rarity? Two years ago my son was diagnosed with a rare collagen disorder, Vascular Ehlers Danlos Syndrome. His condition is sort of an invisible illness. He looks normal but his body is so fragile. The first geneticist misdiagnosed him and we were left thinking he didn’t have anything wrong with him. A year later we saw a different geneticist and a blood test proved he had a devastating and potentially fatal disorder. Since the diagnosis, I’ve “met” so many affected by the disorder, and they are some of the bravest people I know, but they also have some of the saddest stories. I was devastated by my son’s diagnosis. I mourned the loss of the hopes and dreams I had for him and mourned the sadness and medical issues that his new future held. My husband looked at me one day and said, “I think I’ve lost you.” I knew what he meant. There was no happiness inside me anymore. But life wasn’t over. I was still a mom, sister, daughter, friend…I needed to rise above this and fight for a better future for my child and others affected by this disorder. I created a bucket list of what I needed to accomplish so I would have no regrets if something terrible arose. The list included taking my son to the top doctors, increasing awareness of vEDS, and raising money for research. Rarity is a fictional tale but it’s based on real life events. My hope is that Rarity will teach others about vEDS and evoke compassion for those with invisible disorders. I email myself any new ideas and characters. This way, no matter where I am, I can manipulate them if I have a moment to work with them. Then I prewrite. I create my characters including their backstory. Next I decide the setting and overall mood of the book. Then I consider the conflict and resolution of the story. And finally I start writing. The rest seems to fall into place once I have the bones of the story mapped out. The darn writer's block! I experienced it for the first time with Rarity and it scared me. It was as if I travelled through a maze and came to a dead end. I was worried that I wouldn’t be able to get the story through it and I’d have to scrap it. I finally backtracked and took a different path with the storyline and found my way to the end. I knew I was through it because once I took the new path, the story practically wrote itself. It was an amazing learning experience but terrifying. I truly thought Rarity was a goner. Nicole Williams, she does an amazing job building characters, and Rebecca Donovan left such a mark on me with her Breathing Series. Both are outstanding writers. Don’t wait for someone to tell you that you are good enough to publish a book, just take the leap. Read your story out loud before sending it to a publisher or editor. Have a good editor edit your book before publishing. A good editor can help take your writing to a new level. And once you finish your first book, pick up your pen and start the next one! I would love to write a book that reaches a larger audience. There are so many authors and so many books, many have yet to be discovered. It’d be nice to be a larger needle in the haystack. If you weren’t a writer, what do you think you’d be doing? I think I’d make a good psychologist. I love listening to other people’s problems and helping them see it from other viewpoints. Plus if I get bored of that, I’ll have great material for writing future books. Do you prefer e-books or traditional books? I prefer e-books. It’s nice to have my phone with me and open my kindle app to read a book. Then at night I grab my laptop and open kindle, it syncs and I’m right where I left off. I’m shocked at how many people feel like they need to own a kindle to read e-books. You don’t, just download the free app or kindle for PC and you can start reading. Having used both, do you prefer self-publishing or traditional publishing? I really have enjoyed traditional. It set the bar higher for me. Limitless holds a high standard for their books. The covers are sleek, the editing is thorough, and they have some amazing authors on board. It’s like becoming part of a family. We all support each other. Waking up Blank by Sara Schoen and Grey by E.L. James. To find out more about D.A. Roach, visit her blog or follow her on Facebook and Twitter. Are you a fan of D.A. Roach? Let me know in the comments below!